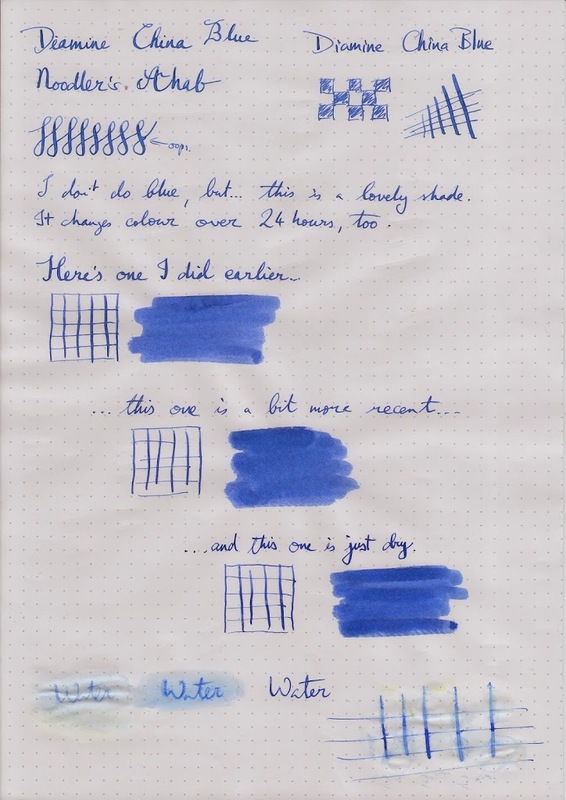 Diamine China Blue: a really nice, light but characterful blue. 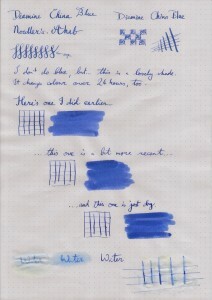 I’m not a big user of blue, and this one won’t make for a day to day ink owing to the light colour and poor contrast. Should be good for cards, though. It needs a wet pen, or even better a flex pen like my Noodler’s Ahab. It looks a little more violet in the scan; trust me, on the page there’s no hint of violet. The ink is notable for changing colour over 24 hours as it dries (bottom swab is just applied, top has had a day to sit, middle has had about 9 hours).